Lori Friend is living a dream. 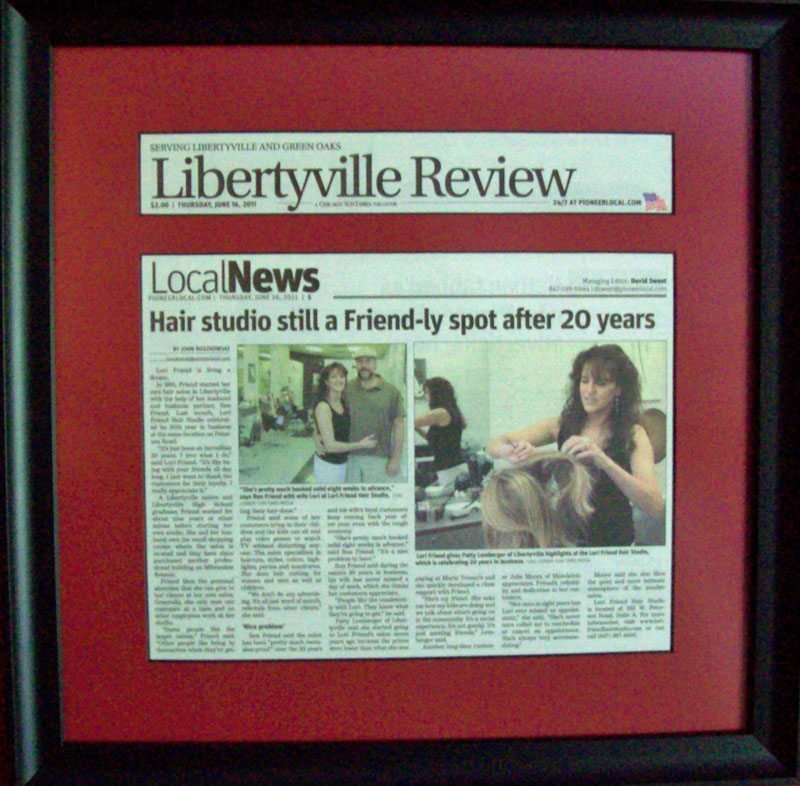 In 1991, Friend started her own hair salon in Libertyville with the help of her husband and business partner, Ron Friend. Last month, Lori Friend Hair Studio celebrated its 20th year in business at the same location on Peterson Road. A Libertyville native and Libertyville High School graduate, Friend worked for about nine years at other salons before starting her own studio. She and her husband own the small shopping center where the salon is located and they have since purchased another professional building on Milwaukee Avenue. Friend likes the personal attention that she can give to her clients at her own salon. Generally, she only sees one customer at a time and no other employees work at her studio. Friend said some of her customers bring in their children and the kids can sit and play video games or watch TV without disturbing anyone. The salon specializes in haircuts, styles, colors, highlights, perms and manicures. She does hair cutting for women and men as well as children. “We don’t do any advertising. It’s all just word of mouth, referrals from other clients,” she said. 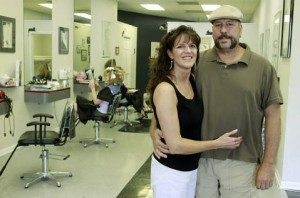 Ron Friend said the salon has been “pretty much recession-proof” over the 20 years and his wife’s loyal customers keep coming back year after year, even with the tough economy. Ron Friend said during the salon’s 20 years in business, his wife has never missed a day of work, which she thinks her customers appreciate. “People like the consistently with Lori. They know what they’re going to get,” he said. Patty Lemberger of Libertyville said she started going to Lori Friend’s salon seven years ago because the prices were lower than what she was paying at Mario Tricoci’s and she quickly developed a close rapport with Friend. “She’s my friend. She asks me how my kids are doing and we talk about what’s going on in the community. It’s a social experience. It’s not gossip. It’s just meeting friends,” Lemberger said. Another long-time customer Julie Moore of Mundelein appreciates Friend’s reliability and dedication to her customers. Moore said she also likes the quiet and more intimate atmosphere of the smaller salon. Lori Friend Hair Studio is located at 333 W. Peterson Road, Suite A. For more information, visit www.lorifriendhairstudio.com or can call (847) 367-4690.